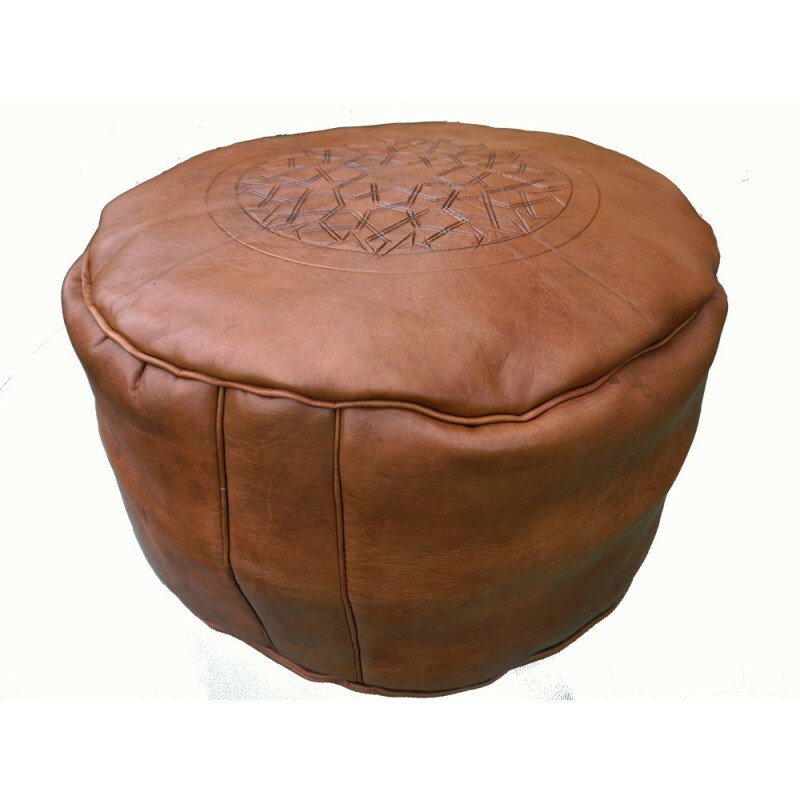 Create a touch of traditional Morocco in your home with this beautiful large pouffe, great for additional seating or as a footstool. 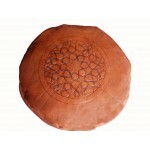 Our Moroccan pouffes are made by craftsmen in a small workshop in Fez. Your purchase helps to ensure that these traditional crafts can continue to flourish into the future. As is usual with hand made items, there may be small flaws and imperfections in the leather and the finish, which do not constitute faults. The leather used is tanned the traditional way using organic methods, therefore if you don not like the smell of leather, which fades with time and use, this item may not suit you. PLEASE NOTE THAT THESE POUFFES ARE SUPPLIED UNSTUFFED. THERE IS A ZIP ON THE UNDERSIDE OF THE POUFFE TO ALLOW FOR FILLING. The photographs are for guidance only as it is very difficult to capture the colours accurately and each pouffe varies slightly in shade. The pouffe you receive may be lighter or darker in shade than the photographs and no two pouffes will match exactly.